The financial crisis had led to one effect. The capital flows are looking for new commodities which are promising a higher interest rate than offered in the normal business sectors right now. The most visible results can be seen when this capital is investing in real estate. Those effects can be experienced recently all over the industrialized countries. 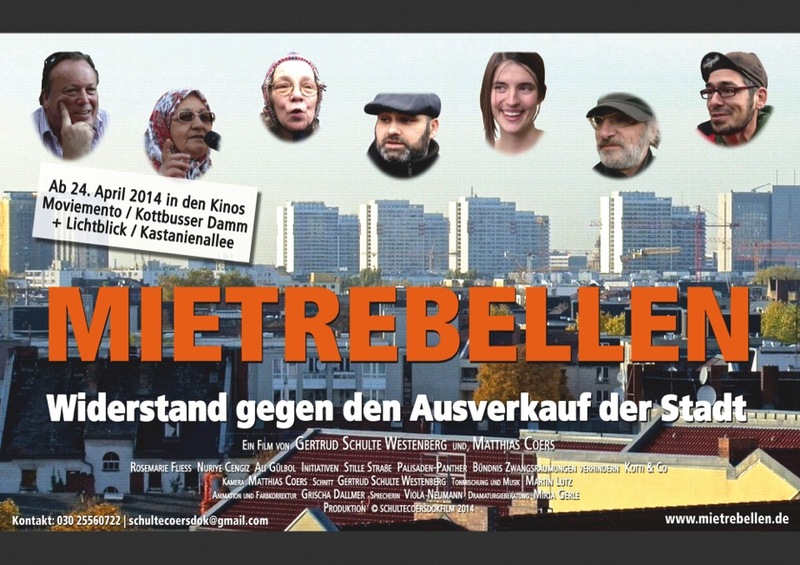 The film is picturing the situation in the German capital Berlin but is also a good example for other cities and countries how the problem of increased rents can lead to social inequalities in our society. The documentary can be understood to raise the question, in what cities we want to live in?Is the displacement from user groups which lived there for ages to to new user groups which are more economical well off a solution for the city development of the near future? In the last years the Berlin has changed a lot. Flats that once were unattractive are now being used as secure investment objects. The transformation into owner-occupied flats and massive rent increases become an everyday phenomenon. The visible tenant protests in the vibrant metropolis of Berlin are a reaction to the growing shortage of affordable housing.